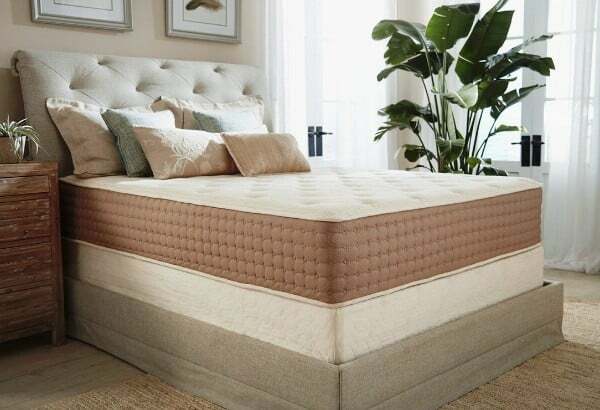 While most people in the United State still own traditional spring mattresses, memory foam has become one of the most popular forms of luxury mattress. Over two decades ago, Tempurpedic made memory foam a mainstream product – it was able to offer world-class comfort for a relatively affordable price. But Tempurpedic mattresses still remain outside of the normal consumer’s budget. Recent times have seen several market competitors pop up to compete. Technology has allowed a variety of different mattress companies the ability to produce luxury mattresses at an affordable cost. Many of these mattresses achieve similar comfort levels to the Tempurpedic mattress. One of these new entrants to the market is Eco Terra. Eco Terra is an emerging mattress manufacturer that is attempting to change the mattress industry. The company produces one type of mattress that is made of a combination of small coils and latex. The firm aims to build mattresses without using any additional chemical materials – which means its healthier for you and the environment. Best of all, the Eco Terra comes in at a much lower price tag than the Tempurpedic range. You’ll find that many of their mattresses sizes are about one-fifth the price of the Tempurpedic equivalent! This article will take an in-depth look at the Eco Terra mattress to help you determine if this is the best mattress choice for you! Should I Buy an Eco Terra Bed? As mentioned previously, the Eco Terra is a latex alternative to memory foam. Latex provides much more breathability than traditional memory foam mattresses. The overall design of the mattress is actually quite basic when compared to other mattress makers. The Eco Terra doesn’t have a complex multi-layer system. Instead, it only has a layer of latex on top and then micro-coils in between. Instead, the Eco Terra is comprised of a large mixture of latex and small fabric-encased coils. This combination provides breathability – the coils create space in the mattress and the latex is much more breathable than memory foam. This makes the mattress a great choice for an individual who finds they overheat during the middle of the night. The only notable design construction specification is that there are different coils around the edges than the middle. The middle coils are wrapped individually in latex, while the out coils are ‘quantum coils.’ These coils give the mattress added edge support to ensure you stay in place while you sleep. One of the best features of the Eco Terra mattress is the cover. Eco Terra has strayed away from the traditional mattress cover and invested in a 100% organic cotton cover. 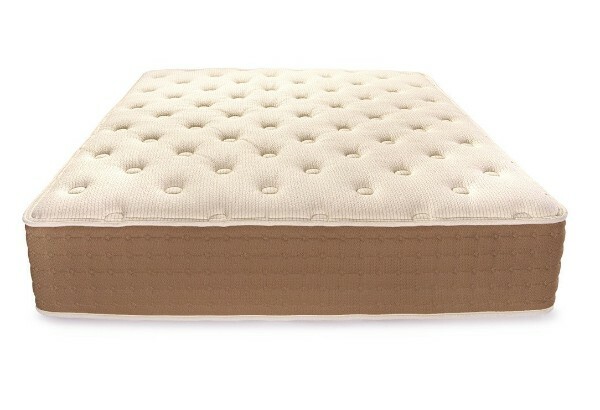 This type of cover is quite breathable and doesn’t contain any serious patterns that impact the feel of the mattress. The best thing about the organic cotton cover is that its fire resistant. Many mattress producers still use polyester covers that are extremely flammable. This requires them to put on anti-flame chemicals to prevent serious fires from occurring in certain circumstances. These anti-flame chemicals are bad for those who are sleeping on the mattress, as they eventually seep out. Organic cotton is also much better for the environment. It doesn’t use synthetic materials that can often end up taking decades to decompose. The Eco Terra falls in the middle of the firmness and support range. 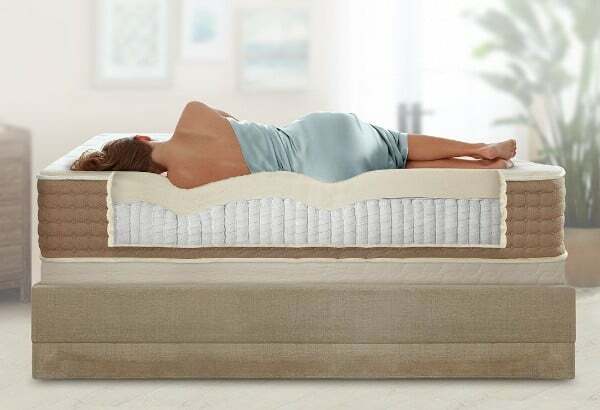 The mattress has been tested extensively to help determine the exact firmness rating it holds. 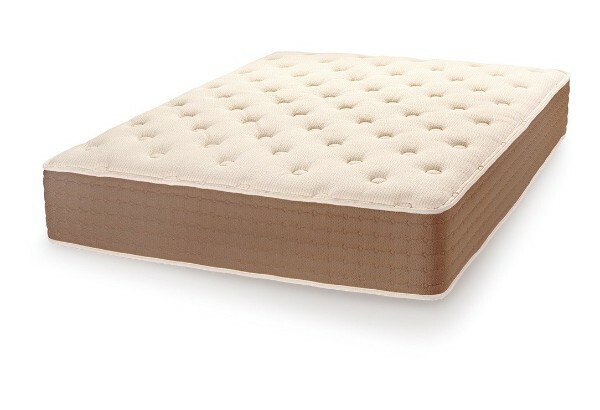 As Eco Terra only has one mattress, we only have one firmness rating for it. The Eco Terra signature mattress comes in around a 5.5/10 – making it slightly firmer than the average foam/latex mattress. This is a great level of firmness for anyone that weighs under 230 pounds. Once you exceed this weight limit, you will find that the comfort of the mattress dwindles. If you don’t have enough support for your weight, you’ll sink too far into the mattress. As mentioned previously, the latex in the mattress provides a bit of bounce. Many people complain that memory foam sinks too much or gets too hot – the Eco Terra has done a great job of combatting this. If you’re looking for something that offers a bit more than memory foam in terms of resistance, an Eco Terra mattress is one of your better options. Unfortunately, if this firmness isn’t supportive enough for you, the Eco Terra brand won’t be a good choice. They only produce one mattress and therefore you’re quite restricted in terms of support. The Eco Terra is a relatively new company. For this reason, the mattress hasn’t undergone much design change in the past few years. The firm aimed to produce a sing mattress type that was innovative and affordable. Since they found such an optimal formula, they’re yet to feel the need to change any component of the mattress. Eco Terra may decide to branch into other mattress territories as the company grows, but it seems this signature mattress will probably remain the same as long as its popular with consumers! Hopefully, the company will develop other mattress designs for people who need different support levels from their mattresses. Variety is definitely lacking in the Eco Terra offerings. When you’re trying to determine what type of mattress you want to purchase, it’s very important to consider the amount of sinkage that occurs when you lie or sit on the mattress. Depending on the sleeper, this can be a major factor into whether the mattress is a viable purchase. Sinkage is a serious problem for a lot of modern mattresses. Producers love using foams to allow for extra comfort, but this often results in the sleeper sinking deep into the mattress – if there is too much sinkage, the bed can be uncomfortable and hot. Fortunately, the latex design of the mattress has allowed for extra resistance. This mattress does not have the same high-level sinkage problem that you often find with foam mattresses. For this reason, many people prefer latex when they’re looking for a new, high-end mattress. We have conducted a number of tests on the mattress to determine the levels of sinkage that occur in different scenarios. You can compare these levels with some of the result on our other mattress reviews. The tests that have been conducted on this mattress were done with a weight of 140 pounds. It must be noted that sinkage will differ depending on the weight of the sleeper! As you can see, there’s a variety of different price-points available depending on the size of mattress you’re looking to purchase. While many mattress producers have managed to sell foam/latex mattresses for cheaper than Eco Terra, the company still has much lower prices than many of the major luxury brands operating in the space. Eco Terra has gained notoriety for its commitment to using ethical manufacturing standards. If you want a mattress that reduces the impact of waste on the global environment, Eco Terra is one of your best options. Whether you should buy an Eco Terra bed or not will depend on your sleeping preferences. This is a great mattress choice for someone who is looking for a luxury mattress at a lower price point than many of the major players in the industry. Although it must be said that there are cheaper alternatives available. Regardless, the mattress has a great warranty that ensures you’ll receive proper use long into the future. The Eco Terra mattress is definitely one of the most comfortable mattresses on the market. But this will also depend on how much you weigh – if you weigh over 230 pounds, this mattress will not be firm enough to provide you with the comfort that you need. Also, the mattress is aware of its impact on the environment – Eco Terra has done a great job of minimizing the carbon footprint of the mattress. The products used to manufacture the mattress also ensure that you’re not exposed to harmful chemicals or materials. If you need a soft mattress that provides a bit of resistance, this is a great choice. It’s much cheaper than many of the high-range luxury mattresses you currently see on the market. But it may still be outside of some people’s budgets. 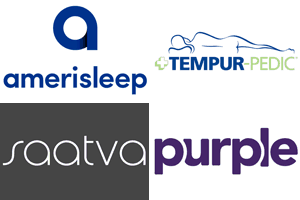 We’ve got tons of great mattress reviews on our site. If you feel that this mattress isn’t right for you, feel free to check out some of our other reviews!